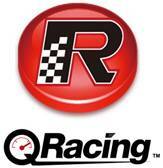 QSTARZ today is excited to announce the QRacing software for BT-Q1000eX. It is the most powerful and useful software for circuit racing, drag racing and Rally. QRacing is now only compatible for BT-Q1000eX by the price of USD $69.99 . And soon it will be available for other QSTARZ products. Only 60 days! You will have a chance to try this fantastic software for FREE! This promotion is from September 17 th , 2010 till November 15 th . 6F -2,No.160 Ming Chuan E. Rd., Sec.6,Taipei,Taiwan.